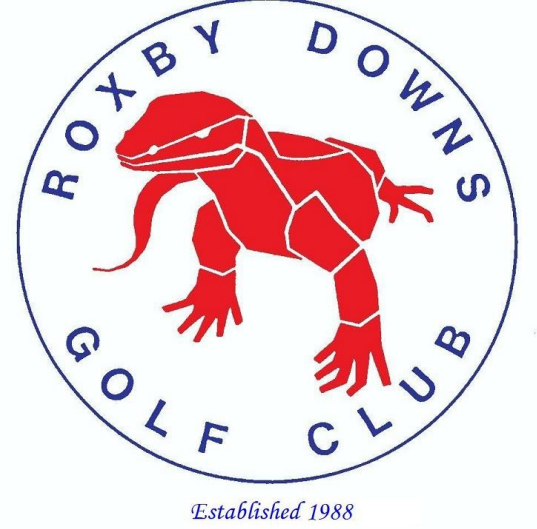 Welcome to the Roxby Downs Golf ClubThe Roxby Downs Golf Club is an 18-Hole course located 550kms north of Adelaide, South Australia, in the small mining town of Roxby Downs. 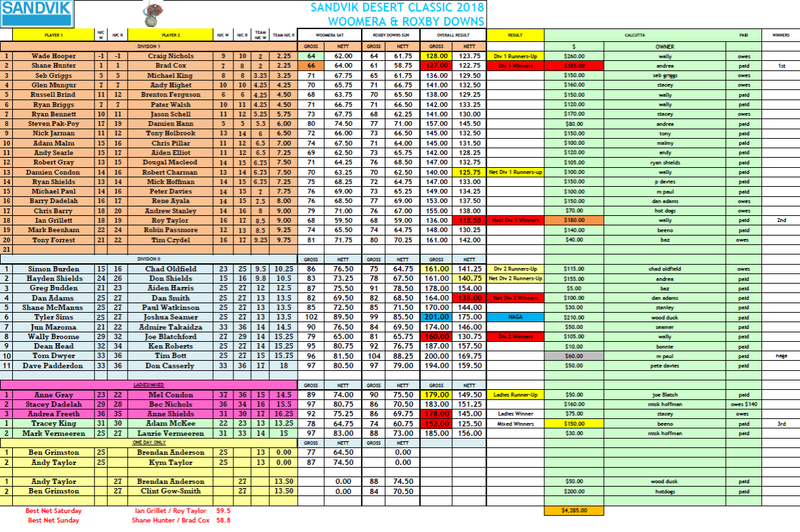 Congratulations to Shane Hunter and Brad Cox for taking out the 2018 SANDVIK Desert Classic with a gross score of 127 strokes for the weekend, just beating out Wade Hooper and Craig Nichols on 128. Congratulations to all the other winners on the weekend, and thanks to all who participated. A huge thank you must go to Clint and the SANDVIK team for not only their sponsorship, but their support and time that they put in to this event each year. A big thanks also to the Mums for coming out to enjoy Mothers Day on Sunday, the Woomera Golf Club – the course and meals were fantastic as always, the Roxby ladies for preparing the Sunday dinner, and to all the volunteers throughout the weekend which made the event successful. Copyright Roxby Downs Golf Club © 2017. Powered by WordPress. Designed by myThem.es.